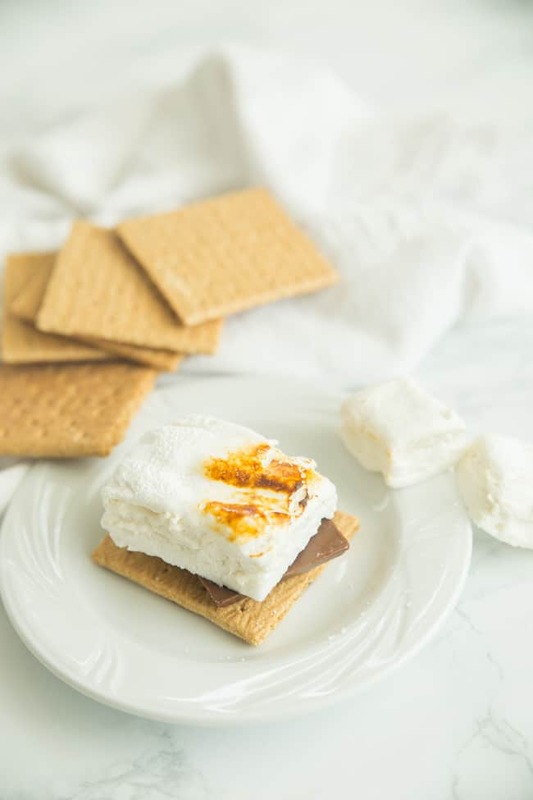 Vegan marshmallows should be part of any plant-based kitchen – for s’mores, hot cocoa, or just for snacking. 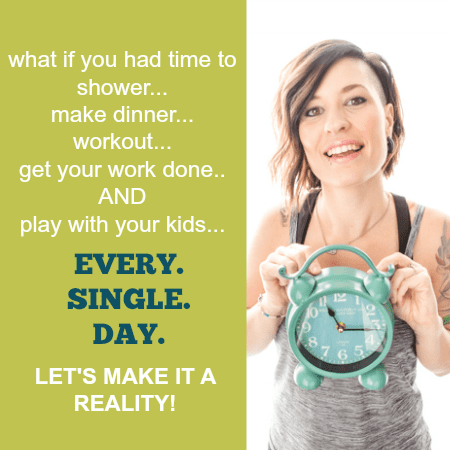 If you make this recipe, be sure to post it on your Instagram and tag me @happyfoodholly #happyfoodhealthylife so I can highlight your creation on social media! 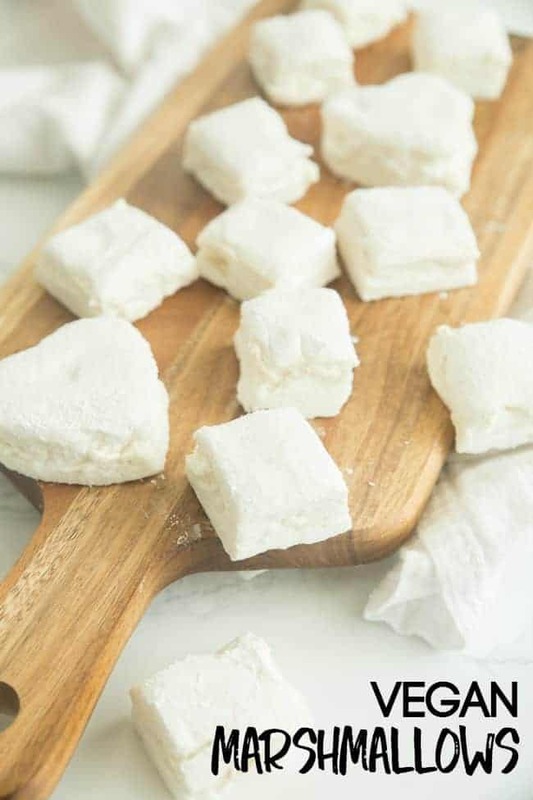 Vegan marshmallows homemade in my own kitchen. I have to say, I never thought I’d see the day. You see, marshmallows and I have a long history. I’m not gonna lie. They’re kind of a gross food. In the sense that it’s a sugar overload. Like way too much. Despite their overly sweetness, I can’t tell you how many times I’ve hidden a stash of mini marshmallows in my desk drawer and just munched on them while working on something. I mean, who does that? Granted, it only takes like 2 little handfuls before I have a full-on bellyache and my mouth is coated in an artificial powdery substance. Yet I still keep doing it to myself over and over. In fact, marshmallows are one of the few foods I have held onto since going vegan. And I know I could go pick up a bag of store bought vegan marshmallows, but that means going to a store that’s out of my way and also paying quite a bit more than a couple bucks for the mini marshmallows I’m used to. So I just haven’t made the transition. 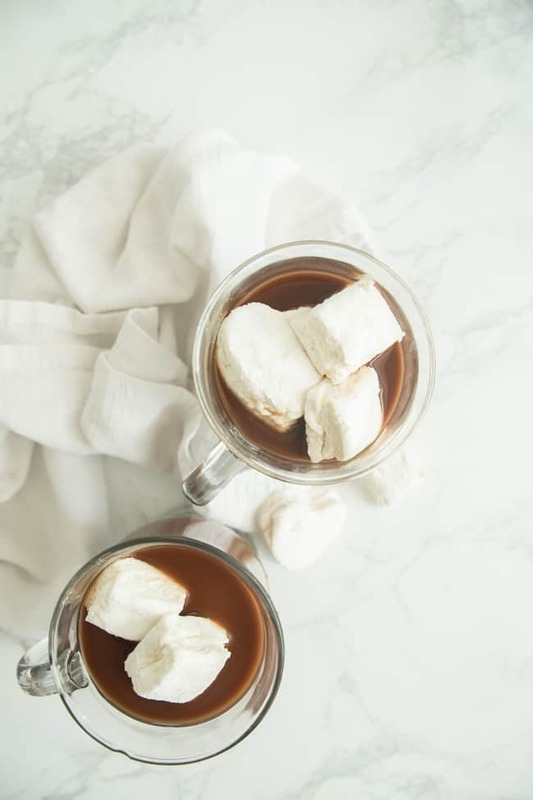 But first let’s talk about marshmallows. What makes a marshmallow not vegan? Most conventional store-bought marshmallows contain gelatin. And I know what you’re thinking. Gelatin is no problem. There’s no meat in my Jell-o. I totally get it. I didn’t realize this until my brother-in-law told me and ruined all jello, gummy bears, and fruit snacks for me. Thanks dude. But yeah, back to gelatin. So it’s pretty gross when you think about it. Gelatin comes from pork… specifically the tendons, skin, bones, cartilage… you know – all the extra part you really don’t want to think about. And most of us don’t. But man, if you’re wanting to rid yourself of animal products, gelatin seems like a great place to start, cause blegh. I want nothing to do with a little piggie’s cartilage or other extra parts. And I definitely don’t need that in order to give my marshmallows and other treats that squishy texture we love so much. So then what do we use instead? Agar powder. Or agar agar. It’s a weird one. I know. And I don’t like using products that are off the wall to you, but sometimes you just gotta place an order on Amazon and make it happen. I had a hard time finding it local, even at the specialty health stores, but I heard that it’s readily available at most Asian markets. 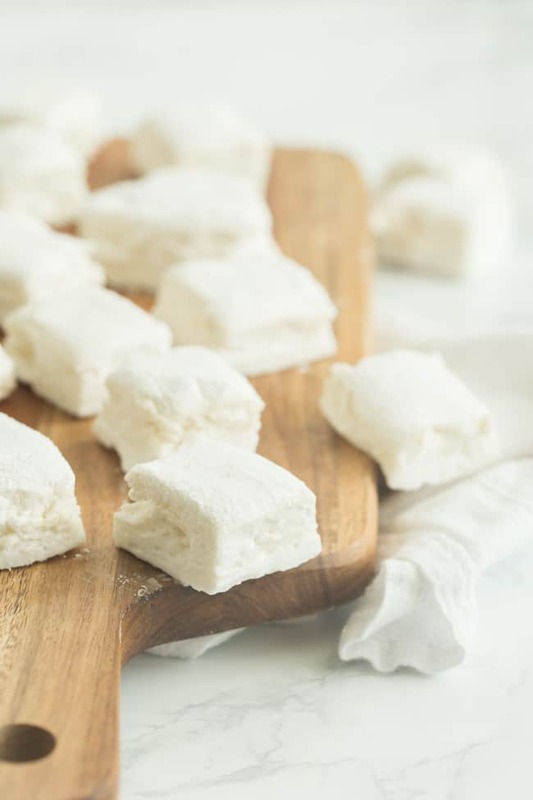 What exactly is agar powder and why do you need it in this vegan marshmallow recipe? Agar actually comes from seaweed! But don’t worry – there’s no fishy flavor going on here. No flavor. No smell. No color. In fact it is very similar to gelatin in most aspects except for where it comes from. It does differ in the fact that agar sets more firmly than gelatin (which may be a good thing if you’re trying to keep something firm and gelatin-like on a warm day). I mean, you don’t want your marshmallows to melt all over the place until you have them on a stick over the fire, right?? 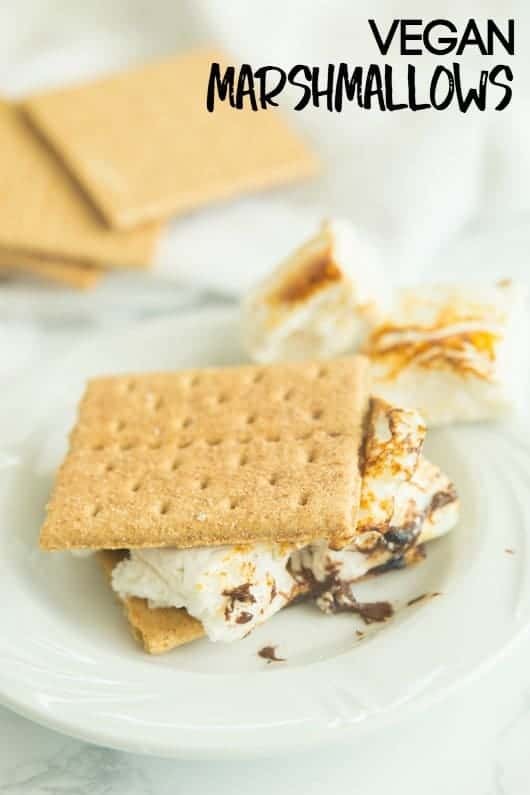 I’ve tried just whipping up aquafaba and using a sweetened foam-like mixture for marshmallows, like in my vegan s’mores dessert and my s’mores meringues, but it’s just not the same. Without the use of agar powder, you’re not getting the stability and jiggliness you’re looking for in a marshmallow. I’m already looking forward to all the different ways I could use agar powder. Think vegan gummy bears. Vegan panna cotta. Vegan custard… a creme brulee maybe? Oh man, I’m getting excited already. What do you think I should use agar for? And I know you’re wondering the most important thing about these homemade vegan marshmallows. Do they toast up like a regular marshmallow?? YES! They so do. And they taste just like a toasty marshmallow you’re used to from your childhood. I couldn’t believe how similar the flavor was. In fact, I didn’t even get that nasty belly-aching sugar-coating situation with these marshmallows! Total win! You can bet your bottom dollar that every mug of hot cocoa and every s’more will be complete with the addition of these vegan marshmallows. 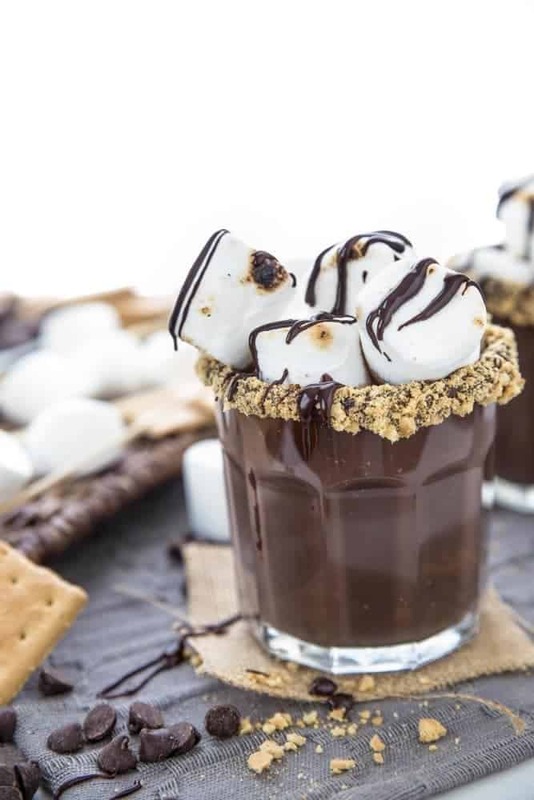 They’d also go perfectly in my Dairy-Free S’mores Cocktail, don’t you think?! 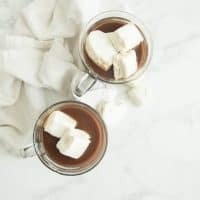 Be sure to bookmark this recipe in your browser so you can have it available whenever the craving hits! 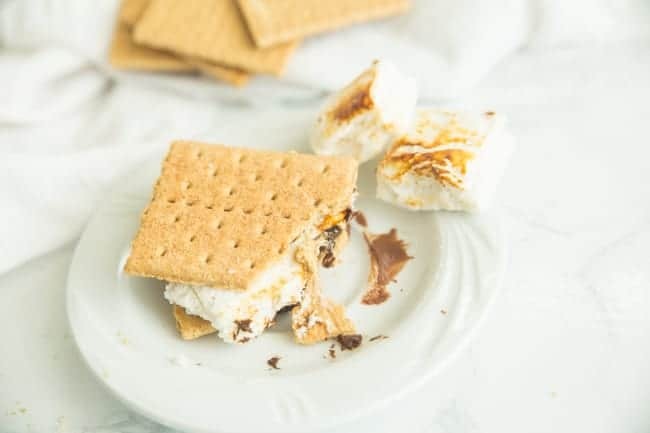 Vegan marshmallows should be part of any plant-based kitchen - for s'mores, hot cocoa, or just for snacking. Line a 9x13 pan or baking sheet with parchment paper. Dust with a thin layer of powdered sugar and set aside to prepare marshmallows. Add the liquid from a can of chickpeas in the bowl of your stand mixer (see notes). Add cream of tartar and mix on high with the whisk attachment for 6 minutes. It should be very fluffy at this point. Add the vanilla and beat for an additional 3 minutes. In a small saucepan, combine the water and agar powder. Bring to a slow boil. Boil for 3 minutes and then add the sugar. Slowly boil for an additional 3 minutes while stirring constantly. Pour the agar+sugar mixture slowly into the aquafaba mixture while beating with your mixer on low. Beat for 30 seconds on low until it is all incorporated and becomes slightly shiny. Immediately pour onto prepared baking sheet or pan, spreading evenly with a spatula. Sprinkle with powdered sugar if desired (see notes). Refrigerate for at least 2 hours before cutting into small squares or using cookie cutters to cut into different shapes. You can use a bowl and hand mixer if you don't have a stand mixer. There's just a lot of mixing, so your arm will get a good workout. The powdered sugar is optional. Without it, the marshmallows will just have more of a sticky or gelatinous feel rather than a soft and fluffy touch. 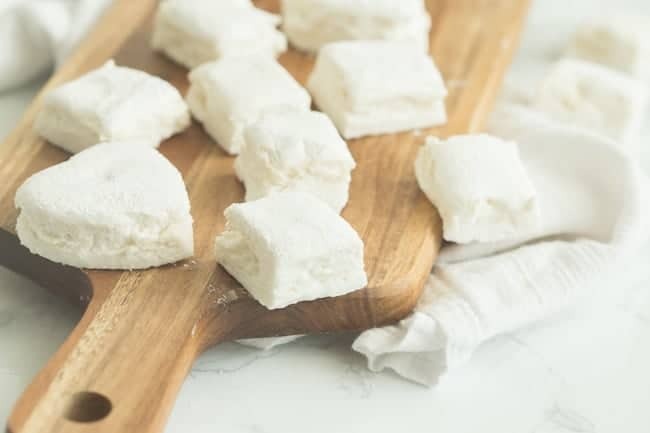 This vegan marshmallow recipe was inspired by the recipe over at The Hidden Veggies. These look amazing! The perk of looking up vegan recipes even if you aren’t vegan is that they are normally really allergen friendly and yours fits my bill! I’m cooking for a friend and can’t wait to make these. Thank you! Thank you for sharing this recipe! I am super excited to try it out- just need to go shopping for ingredients first! I do have a question… do you think one could use candy molds for this recipe? 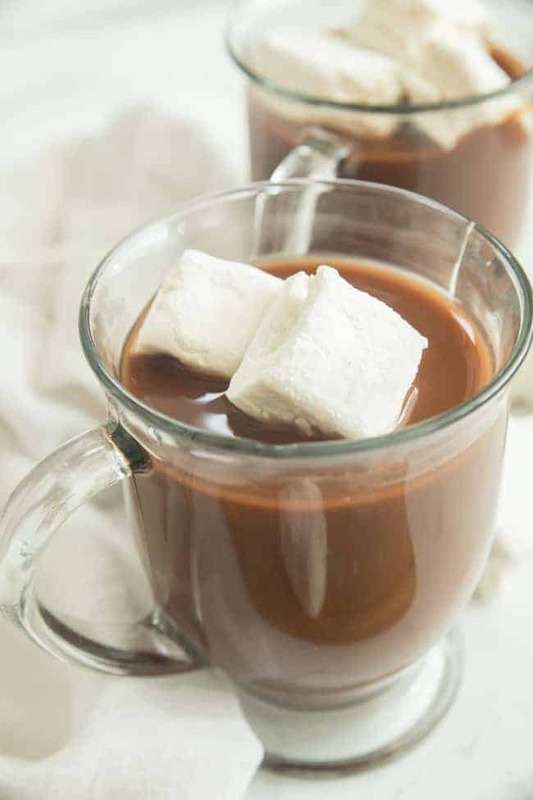 Could make for “cute” marshmallows…. Made a bunch of regular marshmallows to send in care boxes… and just tried this recipe for my daughter. Wish I had tried these first! Much easier… tastier and a lot less gross!! I’m so happy you liked how they turned out! Do you boil for an additional 3 minutes ONCE it starts to slow boil again after adding the sugar? And after it has solidified and you cut it, do you keep it in the refrigerator? Also, why might it have turned out more like a cream pie consistency?